A country struggling for increasing its literacy rate and making every effort to get its girl child educated, today is a big day. It’s national education day. 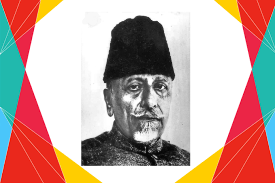 It is celebrated on the birth anniversary of India’s first education minister Bharat Ratna Maulana Abul Kalam Azad. He was born today in 1888. He was a freedom fighter, a writer, a poet and a journalist. He was only 35 years old when he became the youngest president of Indian National Congress. He was the one who was against the formation of Pakistan. He was the one who started Indian Institutes of Technology and University Grants Commission.